Designed and made exclusively by Ethan Lord. Diamonds weighing .37ctw are set in sweet 14k white gold snowflake ring. Wear for the holidays and all season long. Open style makes sizing easy and will fit many fingers. Stock size 7 can be adjusted, please leave a comment and let us know. Designed and made exclusively by Ethan Lord. 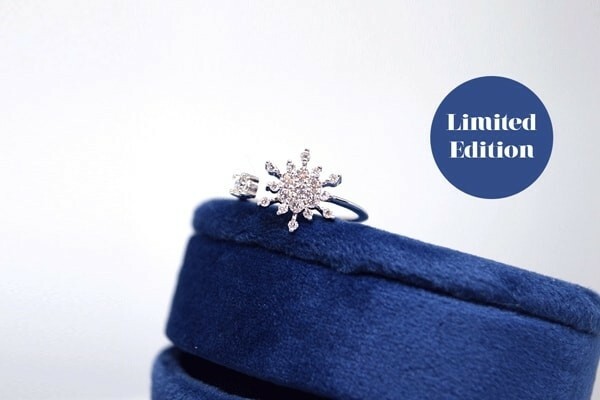 Diamonds weighing .37ctw are set in sweet 14k white gold snowflake ring. Wear for the holidays and all season long. Open style makes sizing easy and will fit many fingers. Stock size 7 can be adjusted, please leave a comment and let us know.